You may have seen this hairstyle before--I know I have. It's a Pinterest thing. 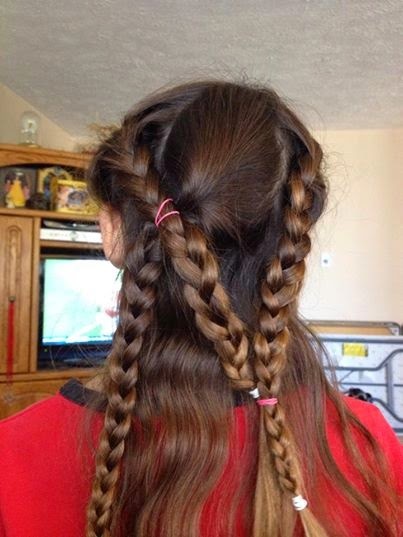 But my delightful daughter was absolutely determined to have "N" hair for the first Cornhusker Football game of the season. I think he did an awesome job. She wanted to use her hair paints to paint it red and white, but we ran out of time this round. Everyone please give my husband, Sean, a big round of applause for making this really happen!! !